Do You Remove Your Make Up Before Bed? 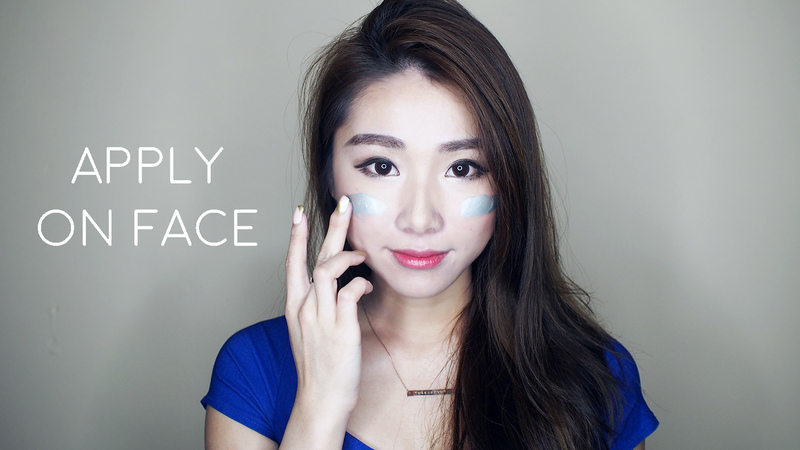 | NIVEA Make Up Clear Range is here for you! Did you know that improper make up removal can cause premature skin ageing, clogged pores, wrinkles and ACNE? 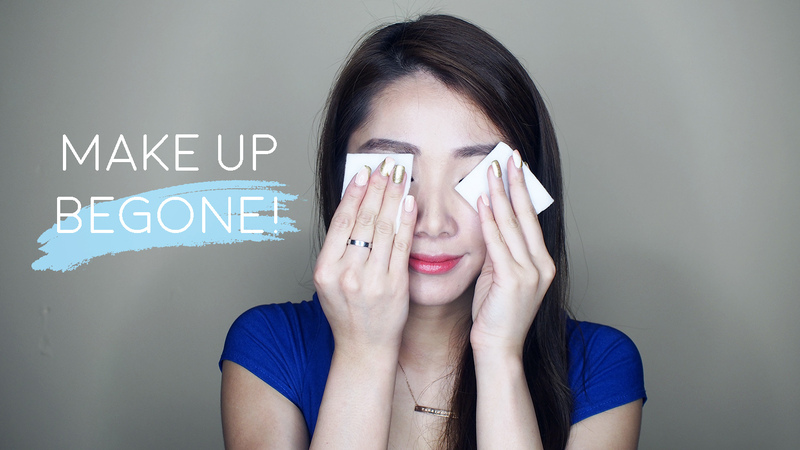 We all know that one thing we all dread - removing make up at the end of the day especially when we are already so tired after a long day. 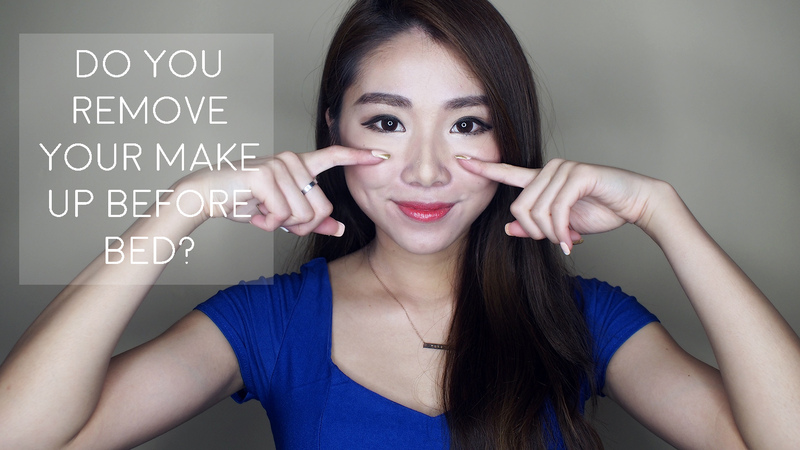 Now, wouldn't it be amazing if we had a magical skincare product that can help us remove make up conveniently and effectively? I attended the Make Up Clear range launch 3 weeks back, and brought my friend Bev along with me to learn more about the new range, as well as other skincare tips and tricks. The NIVEA Make Up Clear 3in1 Mud Cleanser wow-ed the crowd and we were so amazed by how layers and layers of make up got removed so easily and seamlessly during the demonstration just by using this product. This Mud cleanser is not your regular cleanser , just look at all the gunk that got removed just by applying the product once! I'm also very happy with the results because this product is specially designed for light make up users, and it can remove 10 TYPES of Make Up leaving the skin looking fairer, brighter and more radiant. Immediately after washing the Mud Cleanser off, I could see the difference, with the hand on the right looking more radiant, fair and bright. Sunblock and tinted moisturisers cannot be effectively removed by normal cleansers. Because it's simply not enough!! This is one mistake I have been making for years and I'm very sure many of you also face the same problem due to ignorance. In other words, we have been sleeping with the remnants of sunscreen and tinted moisturisers on our faces which could cause us premature ageing, pimples and all the other unsightly things mentioned above. So it is VERY IMPORTANT to cleanse our face thoroughly to prevent all these skin problems from happening. 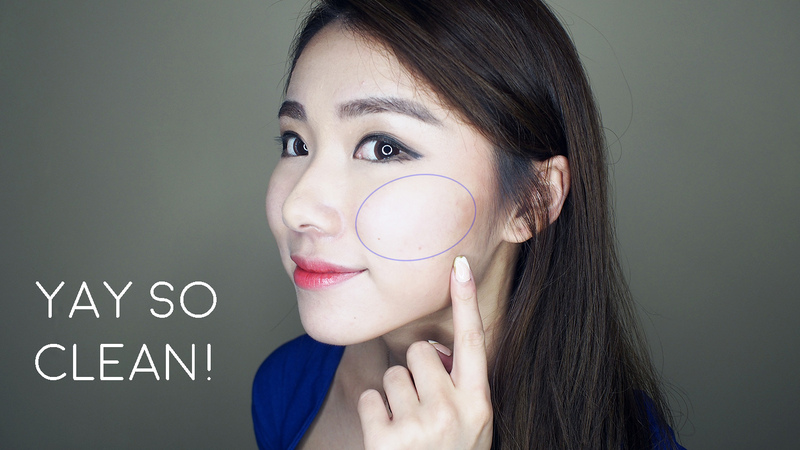 As you can see, the portion of make up on my cheek area (which I applied the Mud Cleanser on) is completely gone! 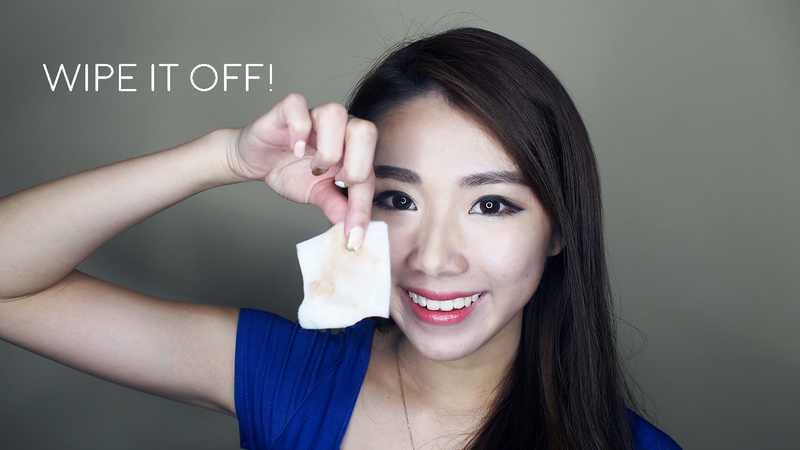 Leaving my face with a block of bronzer there >< haha! 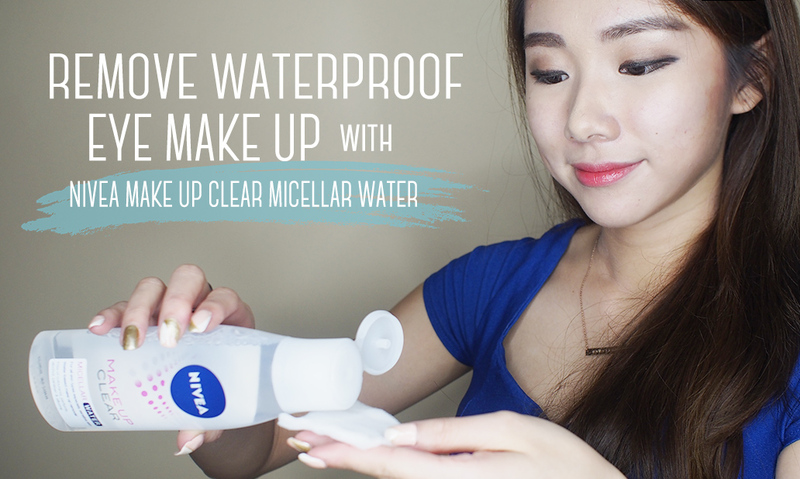 On days where I were to put on heavier make up (Waterproof and eye make up), I use the Make Up Clear Micellar Water or Make Up Clear Cleansing Wipes to double cleanse my skin, making sure ALL make up are removed thoroughly. I LOVE LOVE LOVE these products for removing my make up because they are so gentle on my sensitive skin. Especially the Mud Cleanser and Micellar Water that removes make up so easily and conveniently. Plus! They do not leave my skin feeling dry or tight, which I love. PSSS. I personally feel that it is comparable to other high end Micellar Water(s) i've tried! I also like to pamper my skin with a deeper cleanse at the end of every week with the Make Up Clear 3in1 Scrub. Overall, I think this Make Up Clear range is genius! Not only does it work, it is also very affordable, leaves my skin instantly brighter, fairer and is also targeted specifically at removal of make up effectively and conveniently. Something which all of us often neglect the importance of! I hope you guys found this review useful and I hope these products work as well for you guys as it did for me!